Ooey gooey melty Brie cheese… – Eat, Drink, and Go! Not much is better than this delightful mess of dairy done right. The rippled white rind barely contains the melted middle just waiting to express itself all over your vessel – be it the classic crusty French baguette, a healthy cucumber slice (I do this very often with various cheeses), or my new craze, Wild California’s Fruit and Nut Crisps. I’m a fan. And the apricot and ginger variety is tasty too. I hear there are others, but so far I’ve only seen these two varieties in stores. The fruit and nut crisp is an artistic compression of just that – fruit and nut. It’s like a canvass of trail mix. It tastes healthy, crunchy, chewy, sweet and salty all at the same time and yet somehow doesn’t interfere with its passenger – the cheeeeeese! 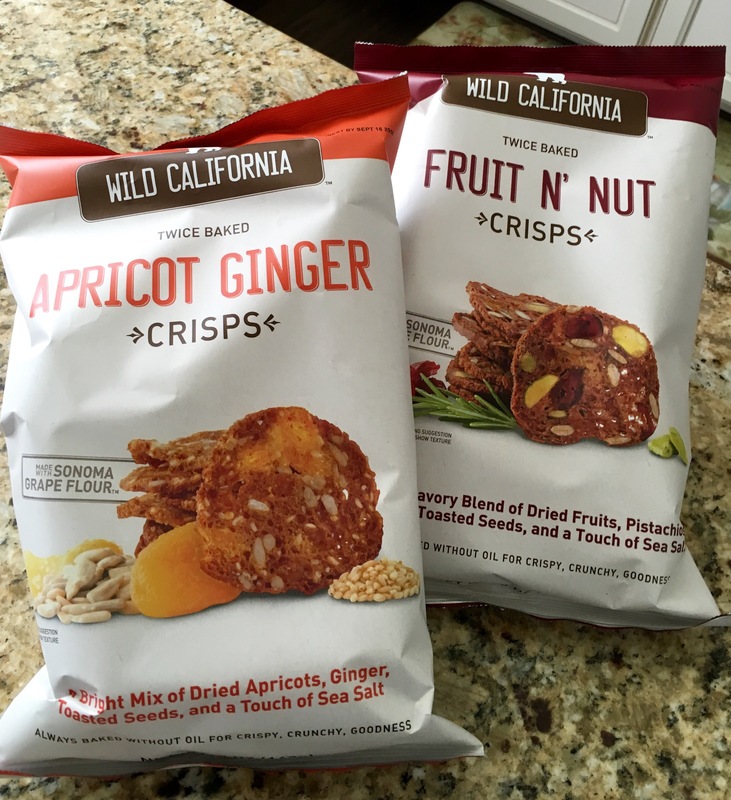 Thank you #wildcaliforniacrisps for this goodness! The melted creamy Brie on anything called Wild California……. All I can say is well, how bad can that be? Sorry Ina.. That looks so yummy – and even nicer that it seems so simple but delightful. What wine or beer do you think would pair well with this? I’m thinking a sturdy red, like a merlot or cab, but my drinking philosophy is to drink what you dig!